Shepherd Offshore combines experienced and skilled operatives, with a vast fleet of cranes, plant & equipment assisting in simple and complex material handling solutions available within and outside our deep water facilities. Our management & technical team have extensive skills and knowledge, with an understanding that no two projects are the same for us. We have unrivalled product know-how and experience which allows us to provide industry-leading project management, one-off crane hire or contract solutions on any scale. The company’s capability & crane capacity are constantly evolving and solutions range in sizes from 30 ton rough terrain cranes & forklifts to 800 ton crawler cranes. Our highly skilled team are available for all our client’s requirements including, site visits, to advise on necessary lift / craneage requirements. 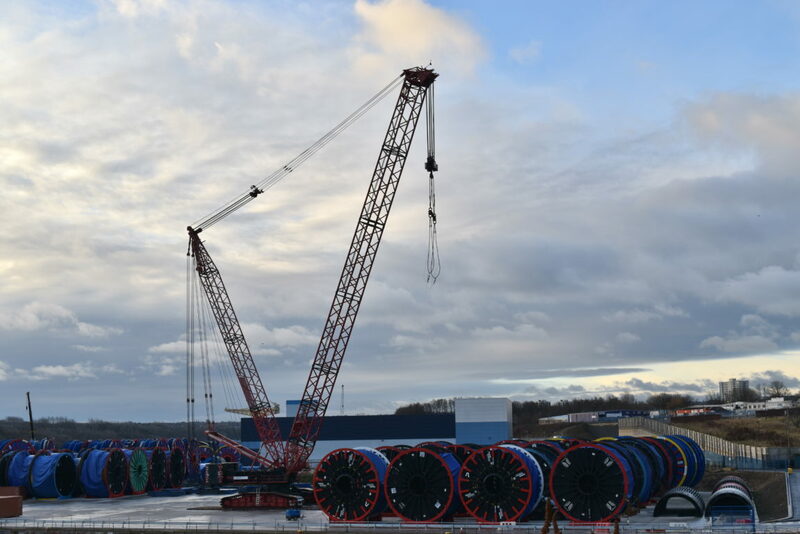 We can lift heavy and complex loads and transfer goods, including 400-tonne reels by road and internally reels up to 700ton, around our dockside facilities, quayside storage and other riverside locations with ease. Shepherd Offshore’s logistics division includes both our in-house transport fleet and warehousing and storage provision. Our capacity includes transport for normal and abnormal loads for the transfer of equipment by road, sea and air. Heavy abnormal load routes service both Neptune Energy Park and Offshore Technology Park and provide direct access to major trunk roads, allowing the transfer of products of up to 400 tonnes. Operating an ISO certificated Quality Management System we aim to provide the best service 24 hours a day 365 days of the year. We’re here to provide expert support for all your lifting & material handling needs whether it is lifting, jacking, hoisting, winching, transporting Shepherd Offshore is here to take the strain. We’re available to meet all your requirements, including site visits and advising on any necessary lift or material handling requirements.